Please call for table options of groups 7 or more. This is a six classes over 9 weeks. 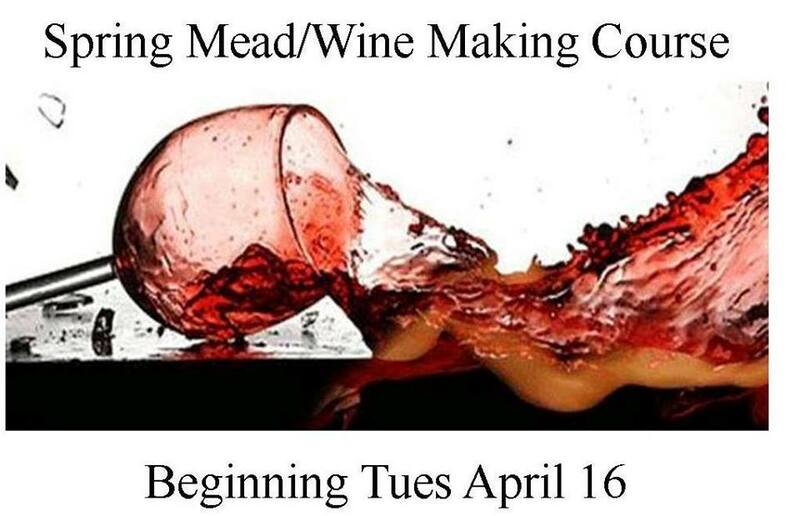 In this course we will cover the full mead/winemaking process: from fermentation to bottling. Learn techniques to start or improve your own home mead/winemaking creating a mead/wine as a class. Hone your wine evaluation skills with classes on sensory evaluation training and food and wine pairing.